Guatemala ( ; [gwateˈmala]), officially the Republic of Guatemala (Spanish: República de Guatemala), is a country in Central America bordered by Mexico to the north and west, the Pacific Ocean to the southwest, Belize to the northeast, the Caribbean to the east, Honduras to the east and El Salvador to the southeast. With an estimated population of around 15.8 million, it is the most populated state in Central America. Guatemala is a representative democracy; its capital and largest city is Nueva Guatemala de la Asunción, also known as Guatemala City. 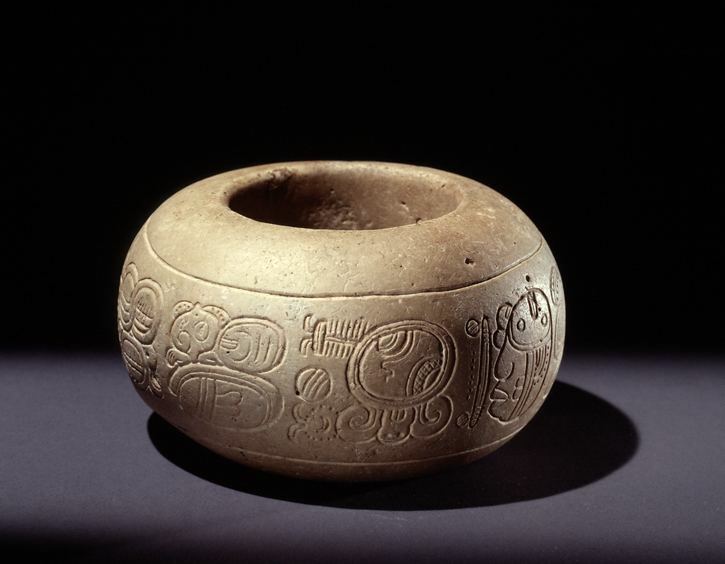 The first evidence of human habitation in Guatemala dates back to 12,000 BC. Evidence, such as obsidian arrowheads found in various parts of the country, suggests a human presence as early as 18,000 BC. There is archaeological proof that early Guatemalan settlers were hunters and gatherers. Pollen samples from Petén and the Pacific coast indicate that maize cultivation had been developed by 3500 BC. Sites dating back to 6500 BC have been found in the Quiché region in the Highlands, and Sipacate and Escuintla on the central Pacific coast. Archaeologists divide the pre-Columbian history of Mesoamerica into the Preclassic period (2999 BC to 250 BC), the Classic period (250 to 900 AD), and the Postclassic period (900 to 1500 AD). Until recently, the Preclassic was regarded as a formative period, with small villages of farmers who lived in huts, and few permanent buildings. However, this notion has been challenged by recent discoveries of monumental architecture from that period, such as an altar in La Blanca, San Marcos, from 1000 BC; ceremonial sites at Miraflores and Naranjo from 801 BC; the earliest monumental masks; and the Mirador Basin cities of Nakbé, Xulnal, El Tintal, Wakná and El Mirador. This lasted until approximately 900 AD, when the Classic Maya civilization collapsed. The Maya abandoned many of the cities of the central lowlands or were killed off by a drought-induced famine. The cause of the collapse is debated, but the Drought Theory is gaining currency, supported by evidence such as lakebeds, ancient pollen, and others. A series of prolonged droughts, among other reasons such as overpopulation, in what is otherwise a seasonal desert is thought to have decimated the Maya, who relied on regular rainfall. The drought also brought an epidemic of hemorrhagic fever in the 16th century, when 80–90% of the indigenous population died off. The Post-Classic period is represented by regional kingdoms, such as the Itza, Kowoj, Yalain and Kejache in Petén, and the Mam, Ki'che', Kackchiquel, Chajoma, Tz'utujil, Poqomchi', Q'eqchi' and Ch'orti' in the highlands. Their cities preserved many aspects of Maya culture. 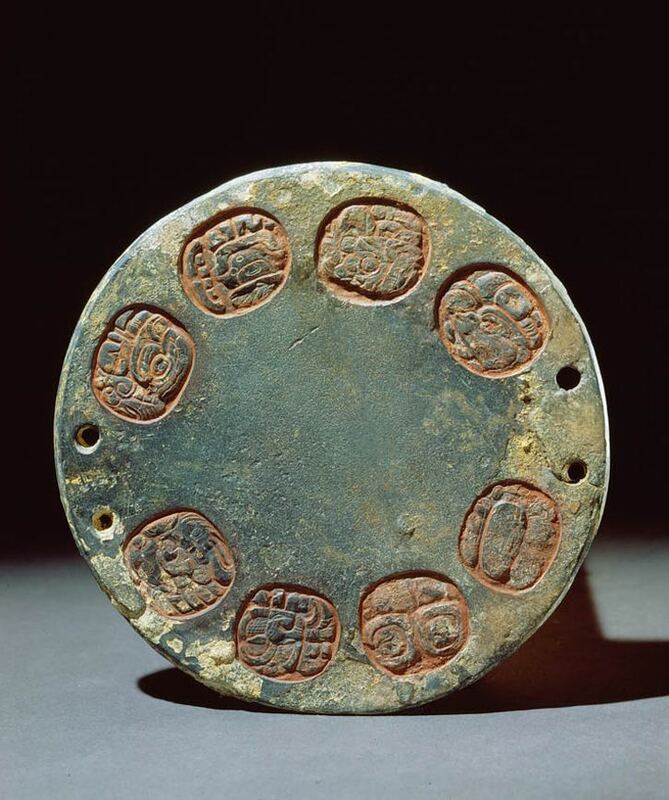 The Maya civilization shares many features with other Mesoamerican civilizations due to a high degree of interaction and cultural diffusion that characterized the region. Advances such as writing, epigraphy, and the calendar did not originate with the Maya; however, their civilization fully developed them. Maya influence can be detected from Honduras, Guatemala, Northern El Salvador to as far north as central Mexico, more than 1,000 km (620 mi) from the Maya area. Many outside influences are found in Maya art and architecture, which are thought to be the result of trade and cultural exchange rather than direct external conquest. On 11 September 1541, the new capital was flooded when the lagoon in the crater of the Agua Volcano collapsed due to heavy rains and earthquakes; the capital was then moved 6 km (4 mi) to Antigua in the Panchoy Valley, now a UNESCO World Heritage Site. This city was destroyed by several earthquakes in 1773–1774. The King of Spain authorized moving the capital to its current location in the Ermita Valley, which is named after a Catholic church dedicated to the Virgen de El Carmen. This new capital was founded on 2 January 1776. Morazán used the proceeds to support Los Altos and then replaced Valenzuela with Mariano Rivera Paz, a member of the Aycinena clan, although he did not return to that clan any property confiscated in 1829. In revenge, Juan José de Aycinena y Piñol voted to dissolve the Central American Federation in San Salvador a little later, forcing Morazán to return to El Salvador to fight for his federal mandate. Along the way, Morazán increased repression in eastern Guatemala, as punishment for helping Carrera. Knowing that Morazán had gone to El Salvador, Carrera tried to take Salamá with the small force that remained, but was defeated, and lost his brother Laureano in combat. With just a few men left, he managed to escape, badly wounded, to Sanarate. After recovering somewhat, he attacked a detachment in Jutiapa and got a small amount of booty which gave to the volunteers who accompanied him. He then prepared to attack Petapa near Guatemala City, where he was victorious, although with heavy casualties. In September of that year, he attempted an assault on the capital of Guatemala, but the liberal general Carlos Salazar Castro defeated him in the fields of Villa Nueva and Carrera had to retreat. After unsuccessfully trying to take Quetzaltenango, Carrera found himself both surrounded and wounded. He had to capitulate to Mexican General Agustin Guzman, who had been in Quetzaltenango since Vicente Filísola's arrival in 1823. Morazán had the opportunity to shoot Carrera, but did not, because he needed the support of the Guatemalan peasants to counter the attacks of Francisco Ferrera in El Salvador. Instead, Morazán left Carrera in charge of a small fort in Mita, without any weapons. Knowing that Morazán was going to attack El Salvador, Francisco Ferrera gave arms and ammunition to Carrera and convinced him to attack Guatemala City. Meanwhile, despite insistent advice to definitively crush Carrera and his forces, Salazar tried to negotiate with him diplomatically; he even went as far as to show that he neither feared nor distrusted Carrera by removing the fortifications of the Guatemalan capital, in place since the battle of Villa Nueva. Taking advantage of Salazar's good faith and Ferrera's weapons, Carrera took Guatemala City by surprise on 13 April 1839; Castro Salazar, Mariano Gálvez and Barrundia fled before the arrival of Carrera's militia men. Salazar, in his nightshirt, vaulted roofs of neighboring houses and sought refuge, reaching the border disguised as a peasant. With Salazar gone, Carrera reinstated Rivera Paz as head of state. Between 1838 and 1840 a secessionist movement in the city of Quetzaltenango, founded the breakaway state of Los Altos and sought independence from Guatemala. The most important members of the Liberal Party of Guatemala and liberal enemies of the conservative régime moved to Los Altos, leaving their exile in El Salvador. The liberals in Los Altos began severely criticizing the Conservative government of Rivera Paz. Los Altos was the region with the main production and economic activity of the former state of Guatemala. Without Los Altos, conservatives lost many of the resources that had given Guatemala hegemony in Central America. The government of Guatemala tried to reach to a peaceful solution, but two years of bloody conflict followed. Guzmán went to Antigua Guatemala to meet with another group of Paredes emissaries; they agreed that Los Altos would rejoin Guatemala, and that the latter would help Guzmán defeat his enemy and also build a port on the Pacific Ocean. Guzmán was sure of victory this time, but his plan evaporated when in his absence Carrera and his native allies occupied Quetzaltenango; Carrera appointed Ignacio Yrigoyen as Corregidor and convinced him that he should work with the k'iche', q'anjobal and mam leaders to keep the region under control. On his way out, Yrigoyen murmured to a friend: Now he is the king of the Indians, indeed! Manuel Barillas was president from 16 March 1886 to 15 March 1892. Manuel Barillas was unique among liberal presidents of Guatemala between 1871 and 1944: he handed over power to his successor peacefully. When election time approached, he sent for the three Liberal candidates to ask them what their government plan would be. Happy with what he heard from general Reyna Barrios, Barillas made sure that a huge column of Quetzaltenango and Totonicapán indigenous people came down from the mountains to vote for him. Reyna was elected president. One of Estrada Cabrera's most famous and most bitter legacies was allowing the entry of the United Fruit Company (UFCO) into the Guatemalan economic and political arena. As a member of the Liberal Party, he sought to encourage development of the nation's infrastructure of highways, railroads, and sea ports for the sake of expanding the export economy. By the time Estrada Cabrera assumed the presidency there had been repeated efforts to construct a railroad from the major port of Puerto Barrios to the capital, Guatemala City. Due to lack of funding exacerbated by the collapse of the internal coffee trade, the railway fell 100 kilometres (60 mi) short of its goal. Estrada Cabrera decided, without consulting the legislature or judiciary, that striking a deal with the UFCO was the only way to get finish the railway. Cabrera signed a contract with UFCO's Minor Cooper Keith in 1904 that gave the company tax-exemptions, land grants, and control of all railroads on the Atlantic side. Arévalo was constitutionally prohibited from contesting the 1950 elections. The largely free and fair elections were won by Jacobo Árbenz Guzmán, Arévalo's defense minister. Árbenz continued the moderate capitalist approach of Arévalo. His most important policy was the agrarian reform bill passed in 1952, which transferred uncultivated land to landless peasants. Only 1,710 of the nearly 350,000 private land-holdings were affected by the law, which benefited approximately 500,000 individuals, or one-sixth of the population. The Guatemalan Civil War ended in 1996 with a peace accord between the guerrillas and the government, negotiated by the United Nations through intense brokerage by nations such as Norway and Spain. Both sides made major concessions. The guerrilla fighters disarmed and received land to work. According to the U.N.-sponsored truth commission (the Commission for Historical Clarification), government forces and state-sponsored, CIA trained paramilitaries were responsible for over 93% of the human rights violations during the war. During the first ten years of the civil war, the victims of the state-sponsored terror were primarily students, workers, professionals, and opposition figures, but in the last years they were thousands of mostly rural Maya farmers and non-combatants. More than 450 Maya villages were destroyed and over 1 million people became refugees or displaced within Guatemala. According to the report, Recuperación de la Memoria Histórica (REMHI), some 200,000 people died. More than one million people were forced to flee their homes and hundreds of villages were destroyed. The Historical Clarification Commission attributed more than 93% of all documented violations of human rights to Guatemala's military government, and estimated that Maya Indians accounted for 83% of the victims. It concluded in 1999 that state actions constituted genocide. Officials received bribes from importers in exchange for discounted import tariffs, a practice that was rooted in a long tradition of customs corruption in the country, as a fund-raising tactic of successive military governments for counterinsurgency operations during Guatemala’s 36-year-long civil war. A Facebook event using the hashtag #RenunciaYa (Resign Now) invited citizens to go downtown in Guatemala City to ask for Baldetti's resignation. Within days, over 10,000 people RSVPed that they would attend. Organisers made clear that no political party or group was behind the event, and instructed protesters at the event to follow the law. They also urged people to bring water, food and sunblock, but not to cover their faces or wear political party colors. Tens of thousands of people took to the streets of Guatemala City. Baldetti resigned a few days later. She was forced to remain in Guatemala when the United States revoked her visa. The Guatemalan government arraigned her, since it had enough evidence to suspect her involvement in the "La Linea" scandal. The prominence of US Ambassador Todd Robinson in the Guatemalan political scene once the scandal broke led to the suspicion that the US government was behind the investigation, perhaps because it needed an honest government in Guatemala to counter the presence of China and Russia in the region. Thousands of protesters took to the streets again, this time to demand the increasingly isolated president’s resignation. Guatemala’s Congress named a commission of five legislators to consider whether to remove the president’s immunity from prosecution. The Supreme Court approved. A major day of action kicked off early on 27 August, with marches and roadblocks across the country. Urban groups who had spearheaded regular protests since the scandal broke in April, on the 27th sought to unite with the rural and indigenous organizations who orchestrated the road blocks. The strike in Guatemala City was full of a diverse and peaceful crowd ranging from the indigenous poor to the well-heeled, and it included many students from public and private universities. Hundreds of schools and businesses closed in support of the protests. The organization grouping Guatemala’s most powerful business leaders issued a statement demanding that Pérez Molina step down, and urged Congress to withdraw his immunity from prosecution. The attorney general’s office released its own statement, calling for the president's resignation "to prevent ungovernability that could destabilize the nation." As pressure mounted, the president’s former ministers of defence and of the interior, who had been named in the corruption investigation and resigned, abruptly left the country. Pérez Molina meanwhile had been losing support by the day. The private sector called for his resignation; however, he also managed to get support from entrepreneurs that were not affiliated with the private sector chambers: Mario López Estrada – grand child of former dictator Manuel Estrada Cabrera and the billionaire owner of cellular phone companies – had some of his executives assume the vacated cabinet positions. In June 2016 a United Nations-backed prosecutor described the administration of Pérez Molina to a crime syndicate and outlined another corruption case, this one dubbed Cooperacha (Kick-in). The head of the Social Security Institute and at least five other ministers pooled funds to buy him luxurious gifts such as motorboats, spending over $4.7 million in three years. Guatemala's highlands lie along the Motagua Fault, part of the boundary between the Caribbean and North American tectonic plates. This fault has been responsible for several major earthquakes in historic times, including a 7.5 magnitude tremor on 4 February 1976 which killed more than 25,000 people. In addition, the Middle America Trench, a major subduction zone lies off the Pacific coast. Here, the Cocos Plate is sinking beneath the Caribbean Plate, producing volcanic activity inland of the coast. Guatemala has 37 volcanoes, four of them active: Pacaya, Santiaguito, Fuego and Tacaná. Fuego and Pacaya erupted in 2010. Guatemala has 14 ecoregions ranging from mangrove forests to both ocean littorals with 5 different ecosystems. Guatemala has 252 listed wetlands, including five lakes, 61 lagoons, 100 rivers, and four swamps. Tikal National Park was the first mixed UNESCO World Heritage Site. Guatemala is a country of distinct fauna. It has some 1246 known species. Of these, 6.7% are endemic and 8.1% are threatened. Guatemala is home to at least 8,681 species of vascular plants, of which 13.5% are endemic. 5.4% of Guatemala is protected under IUCN categories I-V.
Killings and death squads have been common in Guatemala since the end of the civil war in 1996. They often had ties to Clandestine Security Apparatuses (Cuerpos Ilegales y Aparatos Clandestinos de Seguridad – CIACS), organizations of current and former members of the military involved in organized crime. They had significant influence, now somewhat lessened. But extrajudicial killings continue. In July 2004, the Inter-American Court condemned the 18 July 1982, massacre of 188 Achi-Maya in Plan de Sanchez, and for the first time in its history, ruled that genocide had taken place by Guatemalan army troops. It was the first ruling by the court against the Guatemalan state for any of the 626 massacres carried out in its 1980s scorched earth campaign. In those massacres, 83% of the victims were Maya and 17% ladino. In 2008, Guatemala became the first country to officially recognize femicide, the murder of a female because of her gender, as a crime. Guatemala has the third highest femicide rate in the world, after El Salvador and Jamaica, with around 9.1 murders every 100,000 women from 2007 to 2012. In its territory there are fascinating Maya archaeological sites (Tikal in the Peten, Quiriguá in Izabal, Iximche in Tecpan Chimaltenango and Guatemala City). 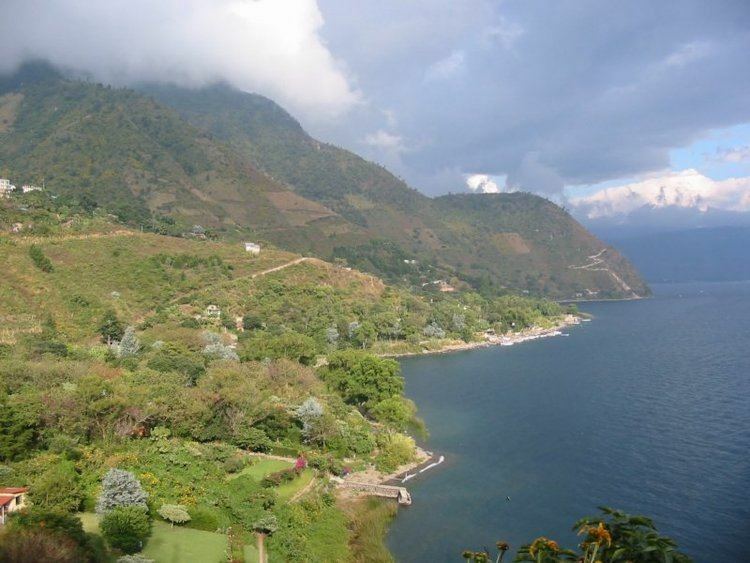 As natural beauty destinations is Lake Atitlan and Semuc Champey. 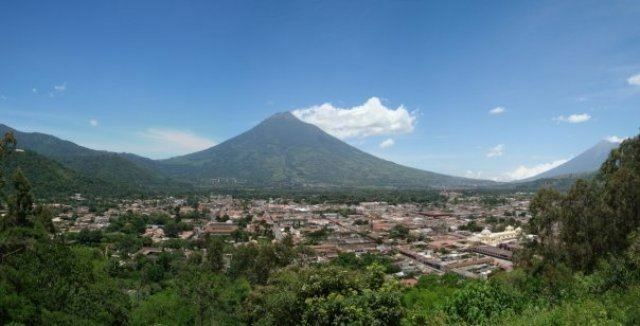 As historical tourism is the colonial city of Antigua Guatemala, which is recognized by UNESCO Cultural Heritage. There is a strong interest of the international community for archaeological sites like the city of Tikal was built and inhabited in a period where the culture had its greatest literary and artistic expression, was ruled by a dynasty of 16 kings, the Maya of Tikal built many temples, a ball park, altars and stelae in high and low relief. The drinking water supply and sanitation sector in Guatemala is characterized by low and inconsistent service coverage, especially in rural areas; unclear allocation of management responsibilities; and little or no regulation and monitoring of service provision. Access to water and sanitation services has slowly risen over the years in Guatemala. In 1990, 81% of the total population had access to improved water sources, while in 2004, 90% of the population had access. Sanitation coverage has also risen, from 62% of the total population having access to adequate sanitation in 1990, to 86% with access in 2004. Guatemala has a population of 15,824,463 (2014 est). With only 885,000 in 1900, this constitutes the fastest population growth in the Western Hemisphere during the 20th century. Guatemala is a highly diverse country, populated by a variety of ethnic, cultural, racial, and linguistic groups. According to the 2010 Census conducted by the National Institute of Statistics (INE), about 41.5% of the population is Mestizo (also known as Ladino), reflecting mixed indigenous and European heritage. A similar proportion of Guatemalans (41%) are of full Amerindian ancestry, which is among one of the largest percentage in Latin America, behind only Peru and Bolivia. Most indigenous Guatemalans are of the Maya people, namely K'iche' (11.0% of the total population), Q'eqchi (8.3%), Kaqchikel (7.8%), Mam (5.2%), and "other Maya" (7.6%). Less than 1% are indigenous non-Maya. White Guatemalans of European descent (also called Criollo) represent 18.5% of the population. The majority are descendants of German and Spanish settlers, followed by other Europeans like Italians, British, French, Swiss, Belgians, Dutch, Russians and Danish. There are smaller communities present, including about 110,000 Salvadorans. The Garífuna, descended primarily from Black Africans who lived and intermarried with indigenous peoples from St. Vincent, live mainly in Livingston and Puerto Barrios. Afro-Guatemalans and mulattos descended primarily from banana plantation workers. There are also Asians, mostly of Chinese descent but also Arabs of Lebanese and Syrian descent. A growing Korean community in Guatemala City and in nearby Mixco, currently numbers about 50,000. Guatemala's German population is credited with bringing the tradition of a Christmas tree to the country. The peace accords signed in December 1996 provide for the translation of some official documents and voting materials into several indigenous languages (see summary of main substantive accords) and mandate the provision of interpreters in legal cases for non-Spanish speakers. The accord also sanctioned bilingual education in Spanish and indigenous languages. It is common for indigenous Guatemalans to learn or speak between two and five of the nation's other languages, in addition to Spanish. Christianity continues to remain strong and vital for the life of Guatemalan society, but its composition has changed over generations of social and political unrest. Roman Catholicism, introduced by the Spanish during the colonial era, remains the dominant church, accounting for 48.4% of the population as of 2007. Protestants, most of them Evangelical (most Protestants are called Evangelicos in Latin America) made up 33.7% of the population at that time, followed by 1.6% in other religions (such as Judaism, Islam, and Buddhism), and 16.1% claiming no religious affiliation. A more recent 2012 survey reveals Catholics at 47.6%, Protestants at 38.2%, other religions at 2.6%, and the non-religious at 11.6%. Since the 1970s, and particularly since the 1990s, Guatemala has experienced the rapid growth of Evangelical Protestantism, whose adherents currently form more than 38% of the population, and still growing. Between 1990 and 2012, the PROLADES Corporation made a study of public opinion polls in Guatemala. Its data reveal a relative decline in Catholicism and significant growth in Evangelical Protestantism, people adhering to no religion, and minority faiths (including indigenous traditions). *Including Jews, Islam, Mayan religion, etc. **Including other religions and None/NA. Many European immigrants to Guatemala were politicians, refugees and entrepreneurs as well as families looking to settle. Up to 1950 Guatemala was the Central American country that received the most immigrants, behind Costa Rica, and large numbers of immigrants are still received today. Since the 1890s there have been small communities of Asians (in particular from Korea, China, Japan, Singapore and the Philippines) but in recent decades this has been growing. Also, beginning with the First World War, the immigrant population is being strengthened by Jewish and Pakistani immigration. During the second half of the twentieth century, Latin American immigration grew in Guatemala, particularly from other Central American countries like Mexico and Cuba and also from Argentina, although most of these immigrants stayed only temporarily before going to their final destinations in the United States. Guatemala has among the worst health outcomes in Latin America with some of the highest infant mortality rates, and one of the lowest life expectancies at birth in the region. Guatemala has about 16,000 doctors for its 16 million people about half the ration the WHO recommends. Since the end of the Guatemalan Civil War in 1997 the Ministry of Health has extended healthcare access to 54% of the rural population. Healthcare has received different levels of support from different political administrations who disagree on how best to manage distribution of services – via a private or a public entity – and the scale of financing that should be made available. As of 2013 the Ministry of Health lacked the financial means to monitor or evaluate its programs. Guatemala City is home to many of the nation's libraries and museums, including the National Archives, the National Library, and the Museum of Archeology and Ethnology, which has an extensive collection of Maya artifacts. It also boasts private museums such as the Ixchel, which focuses on textiles, and the Popol Vuh, which focuses on Maya archaeology. Both these museums are housed on the Universidad Francisco Marroquín campus. Most of the 329 municipalities in the country have at least a small museum. Major national newspapers in Guatemala include Prensa Libre, El Periodico and Siglo21 The Guatemala Times is a digital English news magazine. Guatemala also has a few major local channels and radio stations including, one of Guatemala's major radio station, Emisoras Unidas. Guatemalan music comprises a number of styles and expressions. 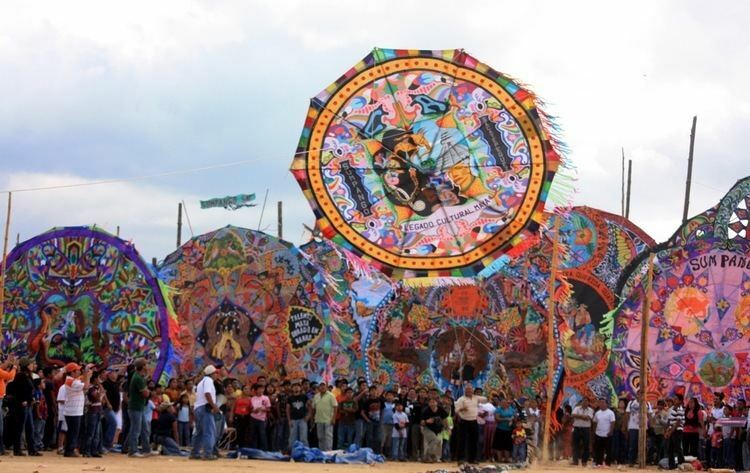 Guatemalan social change has been empowered by music such as Nueva cancion, which blends together histories, present day issues, and the political values and struggles of common people. The Maya had an intense musical practice, as documented by their iconography. Guatemala was also one of the first regions in the New World to be introduced to European music, from 1524 on. Many composers from the Renaissance, baroque, classical, romantic, and contemporary music styles have contributed works of all genres. The marimba is the national instrument; it has developed a large repertoire of very attractive pieces that have been popular for more than a century. Many traditional foods in Guatemalan cuisine are based on Maya cuisine and prominently feature maize, chilies and black beans as key ingredients. Traditional dishes also include a variety of stews including Kak'ik (Kak-ik), which is tomato based stew with turkey, pepian, and cocido. Guatemala is also known for its Antojitos which included little tamales called Chuchitos, fried plantains and tostadas with tomato sauce, guacamole or black beans. Certain foods are also commonly eaten on certain days of the week, for example the popular custom to eat paches (a kind of tamale made from potatoes) on Thursday. Certain dishes are also associated with special occasions, such as fiambre for All Saints' Day on 1 November, or tamales and ponche (fruit punch), which are both very common around Christmas. Football is the most popular sports in Guatemala and its national team has appeared in 18 editions of the CONCACAF Championship, winning it once, in 1967. However, the team has failed to qualify to a FIFA World Cup so far. Established in 1919, the National Football Federation of Guatemala organizes the country's national league and its lower level competitions. Futsal is probably the most successful team sport in Guatemala. Its national team has won the 2008 CONCACAF Futsal Championship as hosts. It was also the runner-up in the 2012 as hosts and bronze medal in the 2016. Guatemala participated for the first time of the FIFA Futsal World Cup in 2000, as hosts, and has played in every competition from 2008 onwards. It has never passed the 1st round. It has also participated in every Grand Prix de Futsal since 2009, reaching the semifinals in 2014. Guatemalan Olympic Committee was founded in 1947 and recognized by International Olympic Committee that same year. The participated in the Guatemala at the 1952 Summer Olympics and in every edition since the 1968 Summer Olympics. It has also appeared in a single Winter Olympics edition, in 1988. Erick Barrondo won the only Olympic medal for Guatemala so far, silver in the race walking at the 2012 Summer Olympics. Guatemala also keeps sports teams in several disciplines.